Update: Aretha Franklin died of pancreatic cancer on August 16, 2018 at the age of 76. Remember Aretha & enjoy some of her classic songs - I Never Loved a Man [the Way I Loved You]; Respect; [You Make Me Feel Like] A Natural Woman; I Say a Little Prayer For You; I Knew You Were Waiting For Me - from singer-songwriter Aretha Franklin - born March 25, 1942 in Memphis, Tennessee. Her parents C. L. Franklin (a "celebrity" preacher of highly emotional sermons) and wife Barbara (piano player and vocalist) separated while Aretha Franklin was a young child, and she lived with her father in Detroit. Half-sister Carl Jennings (C. L.'s daughter by a 13 year old parishioner of his Memphis church), was born before Aretha in 1940 and is still alive today. Guests and friends that influenced young Aretha Franklin at her father's home included Mahalia Jackson, Martin Luther King Jr., Jackie Wilson, & Sam Cooke. Aretha Franklin learned to play piano by ear and at 14, her father brought her on tour with him and had her sing gospel in different churches. He also arranged her first recording deal for the 1956 Songs of Faith album. 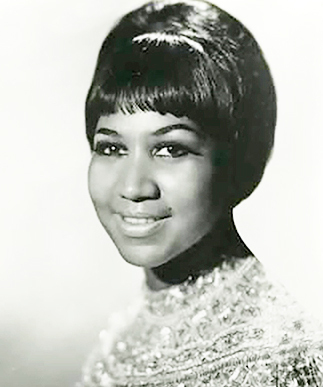 Aretha admired Sam Cooke, who was part of the tour along with his group The Soul Stirrers and had made the leap to a solo career and pop music. She became a first-time, single mom to son Clarence at the age of 15, followed by 2nd son Edward at 17. A father was never named for either son, both of whom were raised by her grandmother Rachel and sister Erma, so that Aretha could tour. In 1960 at her request to move to pop music, Franklin's father got her signed by Columbia Records. Aretha Franklin's debut album and first top 40 single and international hit, Rock-a-Bye Your Baby with a Dixie Melody came out in 1961, the same year she married first husband Ted White (over her father's objections). Third son Ted White, Jr. was born in 1964 and has occasionally backed Aretha on guitar during concerts. More albums and acclaim followed for Aretha Franklin throughout the 1960's. In 1967 after she moved labels to Atlantic Records, Aretha scored her first top 10 hits on her debut album with them - I Never Loved a Man (The Way I Loved You). Below, Aretha Franklin singing I Never Loved a Man (The Way I Loved You). As well as (You Make Me Feel Like) A Natural Woman. And arguably her signature song, RESPECT. Below, audio of Aretha Franklin belting out R-E-S-P-E-C-T. I Say a Little Prayer For You (below, with photo montage)...was followed by an appearance on the cover of Time Magazine in 1968. Aretha Franklin's marriage to Ted White was on the rocks and they divorced in 1969. Aretha's 1969-1976 relationship with Ken Cunningham (her road manager) produced fourth son Kecalf in 1970. Below, Aretha Franklin sings I Say a Little Prayer For You. Aretha Franklin's career continued to soar during the early 1970's, but by the late 70's she was mostly confined to success on the R & B charts. Her personal life took a dive as well after she married second husband Glynn Turman in 1978; her father C. L. Franklin was shot in his Detroit home in 1979 and Aretha moved into his Michigan home to help care for him, effectively separating from Turman. C. L. died in 1984 and Aretha Franklin's divorce from Glynn Turman was finalized in 1985. 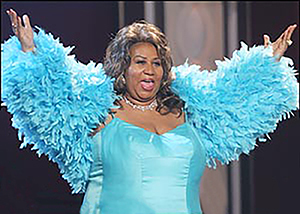 During this time Aretha Franklin began what would turn into years of yo-yo dieting. Aretha Franklin had moved labels again in 1980 to Arista Records, but it wasn't until 1985 that she was at the top of the charts with her Who's Zoomin' Who album (Freeway of Love, Sisters Are Doing It For Themselves), and again in 1986 with Aretha (Jumpin' Jack Flash; and the duet I Knew You Were Waiting For Me, with George Michael). Below, Aretha Franklin and George Michael sing I Knew You Were Waiting For Me. 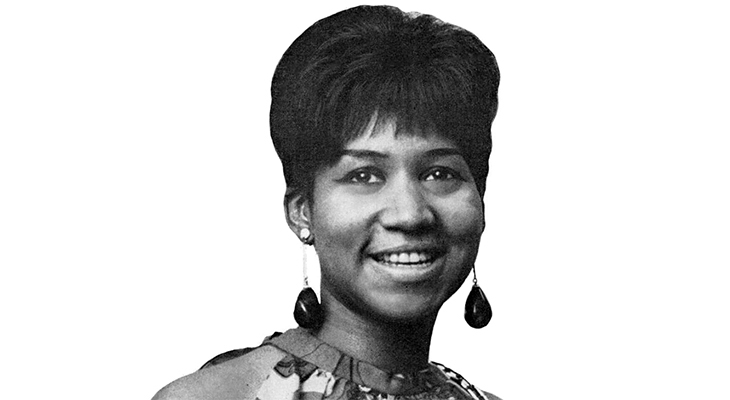 Aretha Franklin was the 1st woman inducted into the Rock and Roll Hall of Fame, in 1987, and has received numerous Grammy and other awards and recognition. She continues to steadily record & release gospel, pop & R & B albums; her 2014 cover of the Adele hit Rolling in the Deep debuted at 47 on Billboard's Hot R&B/Hip-Hop Songs chart. Since 1988 Franklin was involved with Willie Wilkerson, a former firefighter. They've been engaged twice since then; their most recent 2012 engagement was called off after a few weeks. 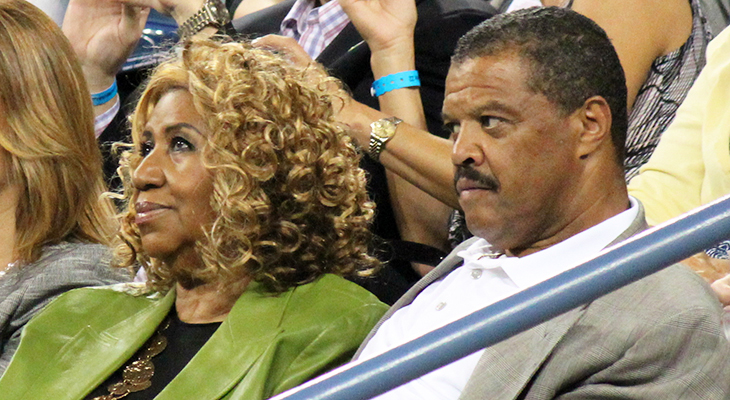 Although Wilkerson and Franklin have never married, they were still seen at events together. Aretha Franklin endured some health issues (2010-2013) that caused her to cancel concerts, yet in 2015 they seem to have cleared up and she was looking good at 72. "I have a great regimen, walking a great fitness walking and today I feel like what, late 40's...early 50's." Farewell, Aretha Franklin. You will be missed. Note: This article was originally published in 2015 with the title Celebrating Seniors - Aretha Franklin is 72 Today. It has been updated with new & additional content.